There’s nothing like a good comic book. People have loved them since day one. And for some of those comics, they’re valued even more now. 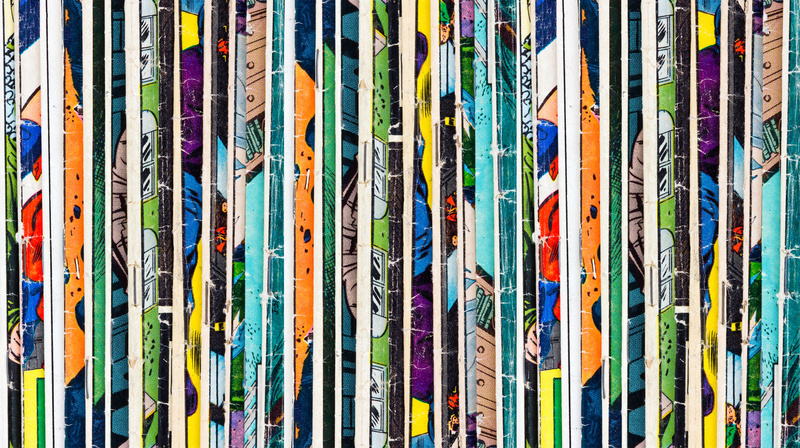 Have you ever stopped to wonder how much your comic book collection might be worth? If you have some golden age comics in your stash, it might be worth more than you’d think. Just how much could you get for a comic book? That depends on the comic. To give you an idea, here are 10 of the most valuable Golden Age comic books ever sold. This first comic on our list shouldn’t surprise anyone, even if you haven’t been a comic fan all your life. Action Comics No. 1 is the comic that introduced the world to Superman. Since its debut in 1938, the star of this comic has been beloved by many. So how much is this comic worth? Well, it once sold for $3.2 million. No other comic has reached that price, making this the most valuable comic in existence. While you aren’t likely to have this particular comic in your possession, seeing as there are so few of them left, you may have comics that are worth a lot. Not sure how to sell your comics? Click here to find out. Would you believe us if we told you Adolf Hitler is on the front of one of America’s most valuable comics? Well, believe it or not, it’s true. Why’s he on there? Because he’s taking a hard right to the face from Captain America. In March 1941, Captain America first made his entrance into the comic book world. He was all about doing right and showing that America would take the bad guy down. While this historic comic isn’t the highest valued, it did sell for a whopping $306,000. No fear your Superman haters. If Batman is your favorite comic book hero, he made his appearance not too long after the original man in tights. Batman made his entrance in April 1940 with the publication of Detective Comics #27. Just how much is the first Batman comic book worth? It sold for $2.1 million. Who knew the 10-cent “64 pages of action” would become so popular? By June 1939, Superman was so beloved that he had his own comic book. Keep in mind, this was only one year after the Man of Steel first showed up in a comic book. This time around, all 64 pages of action were devoted to his heroic exploits. It was all about him. And his popularity didn’t stop there. This comic, though not nearly as pricey as the one where Superman first appeared, sold for the massive amount of $145,000. Any Green Lantern fans out there? Your favorite hero first arrived on the scene in July 1940. He made his entrance into the comic book world by appearing in All-American Comics #16. This comic has since become one of the most valuable from this era. The most it’s sold for is $203,000. While that’s not millions of dollars like some of the other comics on this list, that’s definitely more than the 10 cents it originally cost to purchase it! No worries, all you female supporters out there. The original appearance of Wonder Woman does make the most valuable list! Wonder Woman first became a comic start in December of 1941. Not to be outdone by the men, she took saving the world into her own hands. Just how much could you get if you had one of these comics lying around? You’d bring in at least $10,000. The most expensive copy of this comic sold for much more than that, though. The price of the sale? Just the little amount of $936,000. In 1940, Batman had found his way into his very own comic book. And with him came some other characters you’ve come to know and love. Who were they? Catwoman and the Joker. They didn’t show up in the original comic where Batman first showed his face, but they weren’t far behind. This comic came out the same year as the original comic featuring Batman. The most this comic ever sold for was $203,000. This comic, first hitting shelves in late 1939, brought the world the Human Torch and Angel. The “action, mystery, adventure” it provided was clearly a hit. This comic sold for $227,000. You could buy yourself a pretty decent house with that amount of cash! The vibe we’re getting from this list? If a comic introduced one of today’s iconic superheroes, it’s probably worth a lot of money. This list wouldn’t be complete without Flash Comics #1. It first showed up in early 1940 and brought along a few more well-known characters. This one contained Hawkman and Johnny Thunder and told the Flash’s origin story. How much did this sell for? $450,000. The Man of Steel, yet again, appears in one of the top-valued comics of today. This comic featured Superman on the front but didn’t have his name plastered all over it yet. By this point, Superman was really pretty popular. The comic still sold for pennies, though. Until a copy was purchased later on for $143,000. Why did these golden age comics sell for so much? Simply because they made history. They’re classics. They set the stage for comic books of the era and for any coming in the following decades. Do you have any of these comics sitting at home? If so, you might have something pretty valuable. Do you like to listen to your favorite tunes while perusing your comics? Check out our article on how to choose the best indoor speakers.